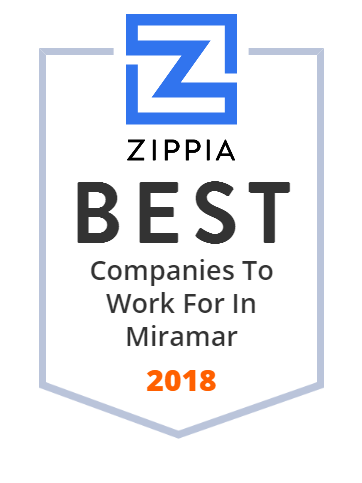 We hand-curated a list of the best companies to work for headquartered in and around Miramar, FL using data on salaries, company financial health, and employee diversity. Elizabeth Arden, a part of Revlon, Inc., owns, licenses, and markets fragrances and distributes some 300 prestige fragrance brands. The company also markets skin care, hair care products and cosmetics. Brands include Red Door, Elizabeth Arden 5th Avenue, and Elizabeth Taylor's White Diamonds, Christina Aguilera, Britney Spears, Juicy Couture, etc. Its products are sold in approximately 150 countries. Elizabeth Arden opened the first Red Door salon on Fifth Avenue in 1910. Its global locations are in Pembroke Pines, FL, New York, NT, and Cointrin, Geneva. Aveva Drug Delivery Systems, Inc. operates as a subsidiary of Apotex Inc. and is a global leader in transdermal drug delivery. Aveva offers a full range of research, development and manufacturing capabilities. Its transdermal pharmaceutical products can improve the quality of life for many patients. The company was founded in 1991 and is based in Miramar, Florida. DVS, located in Miramar, FL, provides communication services, infrastructure support, content delivery, satellite bandwidth provisioning, installation and service of satellite tracking systems, fiber optic solutions and a full spectrum of design and systems integration services. Since its inception in 1975, DVS has been a marine-centric company and an active leader in maritime communication solutions. DVS is always ready to provide solutions to the communication and system integration needs of customers. In 2008, DVS was acquired by Corporate Satellite Communications (CSC). Kellstrom Defense, previously operated as Kellstrom Industries, provides distribution, repair services, engineered products, and program management solutions for US manufactured legacy fighters, transporters, patrol aircraft, and helicopters. Its repair station specializes in complete repair and overhaul of hydraulic, fuel, electro-mechanical, and other instruments. Its Strategic Distribution segment provides aftermarket parts to domestic and foreign militaries. Kellstrom Defense is headquartered in El Segundo, CA, USA and has over 200 employees and sales representatives strategically located throughout the world. Maritime Telecommunications Network Inc. (MTN), headquarted in Miramar, FL, provides wireless communication solutions such as voice, data, internet, and compressed video services through satellite and terrestrial broadband. Teh company has 21 teleports, over 25 proprietary technologies, and 1 mobility platform. It serves a variety of markets, including: government, energy; mobile network operators; commercial shipping; enterprise; etc. Southeast Frozen Foods Company, LP distributes frozen and refrigerated food products. It offers ice creams, frozen entrees, vegetables, pizzas, seafood, meats, deli products, frozen bakery products, dry groceries, dairy products, novelties, bakery products, health and beauty care products, non-food products, general merchandise, and other refrigerated products. The company also offers outsourcing, supplementing, procurement, transportation, inventory management, and distribution services. It serves supermarkets, cash and carry stores, wholesalers, retail grocery chains, distributors servicing independent retailers, discount format retail store chains, independent retailers, and other customer in Florida, Georgia, North Carolina, South Carolina, Tennessee, Pennsylvania, Maryland, Delaware, West Virginia, Virginia, Mississippi, Alabama, Kentucky, Delaware, New York, Connecticut, Massachusetts, New Hampshire, Vermont, Rhode Island, Maine, New Jersey, and the District of Columbia. Southeast Frozen Foods Company, L.P. was formerly known as Poultry, Inc. Southeast Frozen Foods Company, LP was founded in 1958 and is headquartered in Miami, Florida. It has service region and distribution center locations in Miami and Medley, Florida; Cordele, Georgia; New Orleans, Louisiana; Gaston, South Carolina; and Sandston, Virginia. Granite Transformations is a full-service residential and commercial remodeling franchise which offers countertops options with a selection of stylish quartz, granite, recycled glass, and mosaic tile surfaces, as well as cabinet refacing materials. The company is an eco-friendly home renovation option, because most of its products are from recycled materials. Since 1996, million homeowners have trusted Granite Transformations to renovate their kitchen or bathroom. The company's corporate office is located in Miami, FL. Since 1972, For Eyes, the global leader in optical retail, has grown to 116 stores across the United States. In 2015, For Eyes became a part of GrandVision. Its team consists of more than 860 dedicated associates across the United States that provide great customer service in each store. For Eyes offers a variety of stylish glasses, sunglasses, contact lenses, and eye care services. The company is headquarted in Miramar, FL. Altor BioScience is a clinical-stage biopharmaceutical company that develops novel immunotherapies for the treatment of cancer and viral infections, inflammatory and autoimmune diseases. The Company has two proprietary technology platforms: the STAR(tm) platform and the IL-15 Superagonist platform. These platforms can jump start the immune system by activating and expanding immune cells in the body that are responsible for the human body's defense system against disease. The company was formed in 2002 in Miramar, FL, as a spin-off from Sunol Molecular Corporation ("Sunol"). SafeGuard Services (SGS), a subsidiary of Enterprise Services, performs data analysis, investigations, and medical review to detect, prevent, deter, reduce, and make referrals to recover fraud, waste, and abuse (FWA). SGS' primary client is the Centers for Medicare & Medicaid Services (CMS). Its experience with fraud and abuse analytics has resulted in the referral of hundreds of cases to law enforcement which led to a successful criminal and civil prosecution and civil monetary penalties. Miramar Police Department's mission is to provide a safe and secure environment and progressive police services by working together with the community and protect the individual rights of every citizen. Its team of 16 sworn officers and 79. 5 support staff provide services to over 138,000 residents in Miramar, FL. The Miramar Police Department has been continuously accredited since 1996, this proves its professionalism in the industry. American Health Associates, Inc., provides laboratory services to the long term care market, including physicians, hospitals, drug rehabilitation centers, home health agencies, community health clinics, skilled nursing homes, and assisted-living facilities. The company is one of the biggest provider of its services in the nursing home arena, serving over three hundred nursing facilities in the region. The company was founded in 1990 and is based in Ft. Lauderdale, Florida with locations in the southeastern United States. Johns Plumbing provides 24/7 residential and commercial plumbing services in Broward County, Florida. It is one of the most trusted Broward County Plumbing services company. Services include: kitchen faucet repair; toilet & urinal repair; water heater repair; drain cleaning services; sewer line replacement; tankless water heater installation; garbage disposal repair; and much more. It services 13 areas in Florida.